Childhood treasures. The small, seemingly insignificant trinkets and items a child collects all the way through childhood. The favorite teddy, the rock from that special place, the weird stick found in the forest near grandma’s and that picture you took on your vacation last summer. Oh, and of course: Lots and lots of toys. 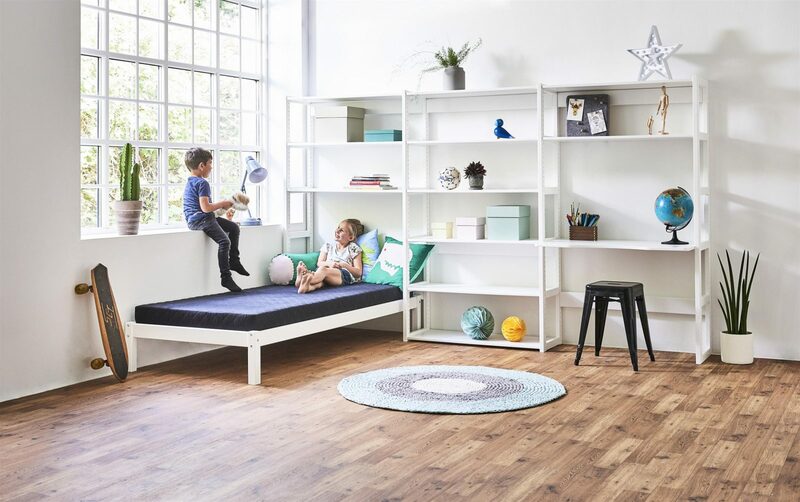 This is the essence of Storey: Childhood memories – and storage, rolled up in one. 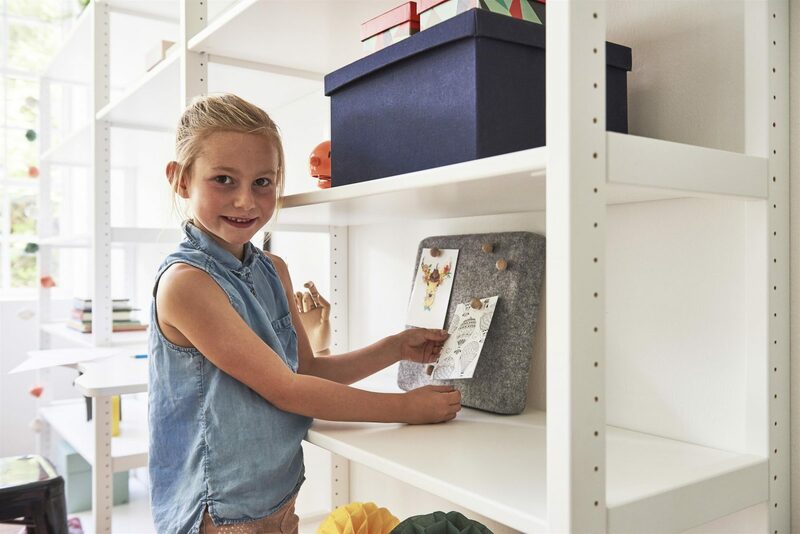 Storey is the new storage system from Hoppekids. 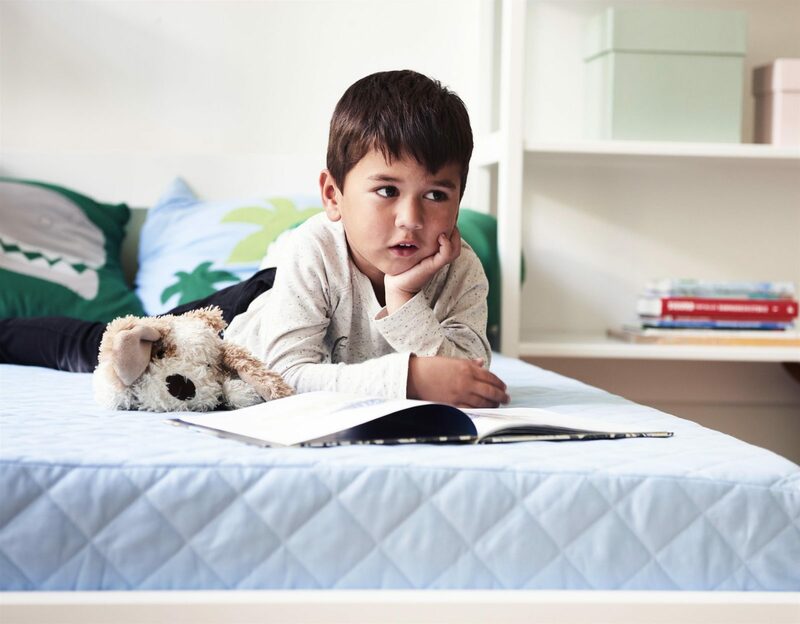 It is flexible and therefore can accommodate all kinds of children’s rooms and fit your exact needs. The true heroes in the children’s room are the toys and the teddy bears, the holiday pictures and that thingy you found in the forest in the fall. That’s why Storey is kept in a simple and clean design because it helps to highlight all the things you like. Storey is therefore the perfect “showcase” for all the colorful toys. 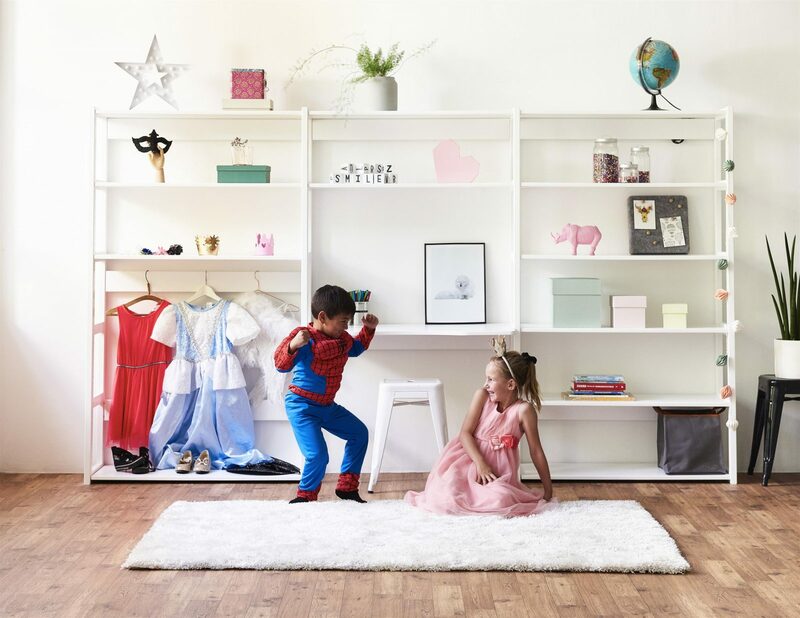 The many combinations and accessories for Storey make it a long-lasting and sustainable solution because the storage system can evolve as your child’s needs develop. For example, you can add a desk to get a workspace or you can add a bed to get a lounge area in the room. The system is built one subject at a time. Two subjects share a side and therefore take up less waste than two shelves that stand next to each other. Shelves and other accessories can be places at any height you want – because there are 56 different positions on the shelves. Everything it fixed, giving a stable and durable storage system. The design for Storey fits perfectly with other Hoppekids furniture and especially the BASIC series. 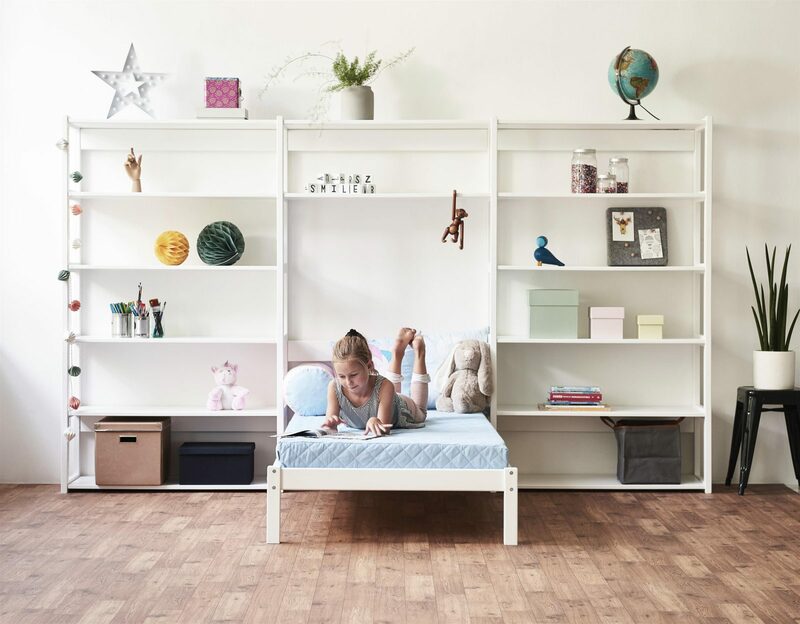 Make Storey fit perfectly in the room by mixing different widths. 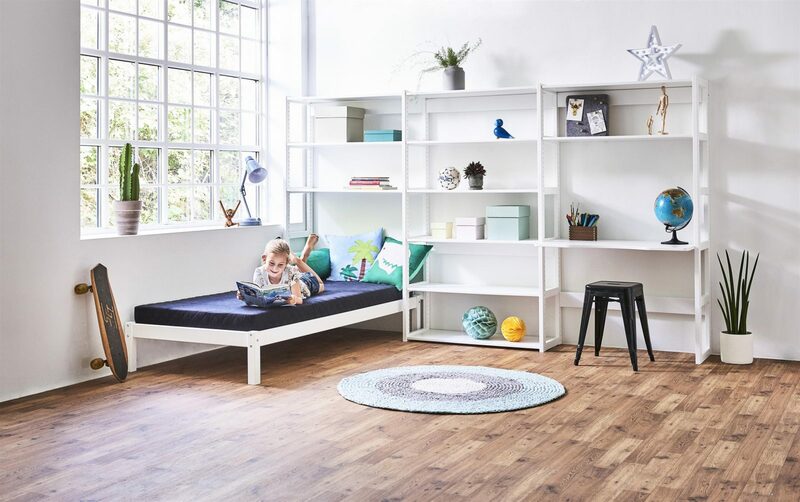 If you add a bed or a desk, you have a multifunctional children’s room with plenty of floor space for play and trouble making!